I have been saving these up for the past couple of weeks. Enjoy. Very interesting, never seen these configurations before. It is unclear to me if the extended saddle is bolted to the chin rest or magnets are employed. A variation of the half twist captured barrel, frequently employed to fasten knock down furniture, is another possibility. The main likely objection to the duck bill tail piece is the additional weight. It lessen expense and simplifies youth instruments. 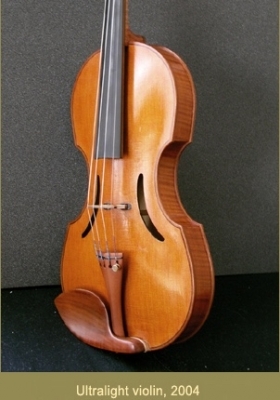 I see an advantage to the low sling chin rest for youth and other people with short arms, particularly for the viola. About that duck-bill tailpiece: wouldn't the head's weight on the tailpiece affect string tension? Also, it doesn't seem to be capable of catching the jawbone for any but the most receding jaws. As it is, I need an even lower chinrest than that. My custom chinrest is barely a centimeter high (lower than my tailpiece), and allows me to just barely fit my viola between my jaw and collarbone. By necessity, it is side-mounted, though it has been cut to place the center of the cup as close to the tailpiece as possible without compromising its structure. 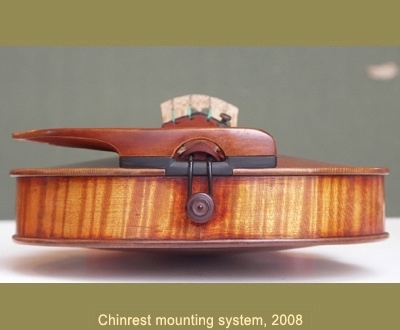 @AndrewH , I would enjoy seeing a photo of that viola chin rest. As for the chin rest that directly attached to ebony saddle extenders, I think that I have found another photo and it appears to be simply glued on. @Irv I was thinking double sided tape on that first and last example without rib clamps. Or maybe a micro suction surface like on some of those round shoulder rest pads? 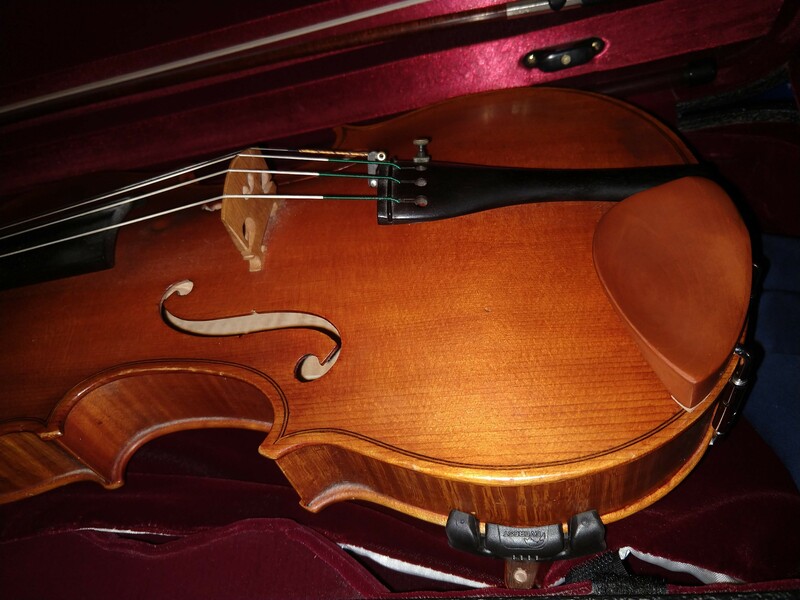 Who would want to glue or tape something to their violin's top plate? @AndrewH I tried out a viola for the first time at the Fiddlershop Saturday opening event this weekend and get your point. The 15 1/2 inch viola had a low guarneri chinrest and I still couldn't sandwich it in between jaw and collarbone... and I don't think my neck is particularly short. Those viola ribs are chunky! As always, fun to see these innovations, ideas.... Forward thinking. I don't have photos that properly show how low the bottom of the cup is (I just haven't taken a photo from a good angle for that) but I've attached two photos that show my chinrest. This is a modified Brandt chinrest, which has a higher lip at the inside edge and no lip toward the side. 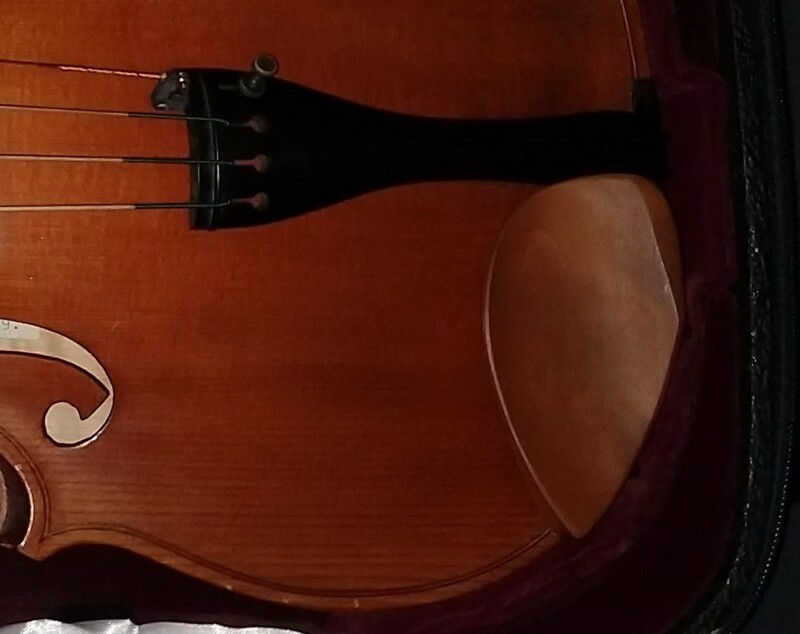 The lowest point, around the center of the chinrest, is 1 cm above the top plate and about 6 mm below the height of the tailpiece at the same distance from the edge.